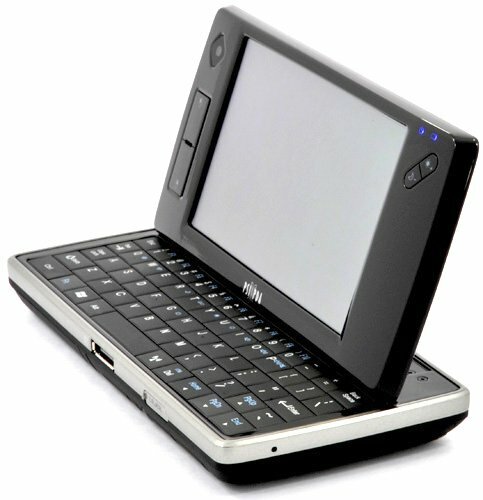 Review About 10 years ago, Psion's handheld computers were the ones to beat and the Psion Series 5 was at the top of the heap. The keyboard was tiny but so well designed that it was really possible to touchtype on it. Indeed, the Series 5 set the standard for others to emulate, and, quite simply, as far as usability is concerned no other small format device since has come close. The PsiXpda doesn’t claim to be a Series 5 for the modern world but – being brought to us by the pairing of an ex-Psion employee and a handheld computing enthusiast – hopes are high that it might recapture some past glory. It falls into the UMPC category, being a fully-fledged Windows XP Professional machine. Relying on an Intel Atom processor, the PsiXpda has a 5in screen and relatively sizeable keyboard, 16GB of SSD storage and microSD card support. It also features Bluetooth, Wi-Fi and a SIM card slot for mobile data – all quite alluring, really. You’d need a pretty large pocket to accommodate the PsiXpda. It measures 174mm x 84mm x 25mm and weighs 430g, which is enough to drag down any pocket you can find for it. The provided protective neoprene sleeve means it’ll languish safely in a bag, though. You’ll need the sleeve for protection, as the screen on the outside so you can use the PsiXpa without resorting to its keyboard. To help with this there are some controls to the left and right of the display, and the screen itself is touch sensitive. Nestled inside one corner of the chassis is a stylus, no larger than those found on a typical smartphone. We found a fingertip or the end of pen was more convenient to use for prodding at the screen. There’s a VGA webcam to the left of the screen, which you can use for video conferencing and two banks of three status lights sitting at the top left and right edges of the screen section. To the right are two buttons to raise and lower the screen backlighting.